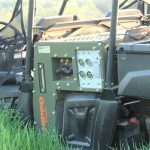 The Ranger® HIPPO is a collaboration between Polaris® Defense and HIPPO Multipower to produce an ultra-light, all-terrain alternative to the traditional maintenance contact vehicle. 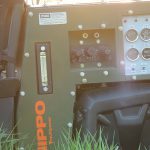 This model allows you to access remote worksites by combining the off-road capabilities of the Polaris Ranger Diesel with the HIPPO 1041P. 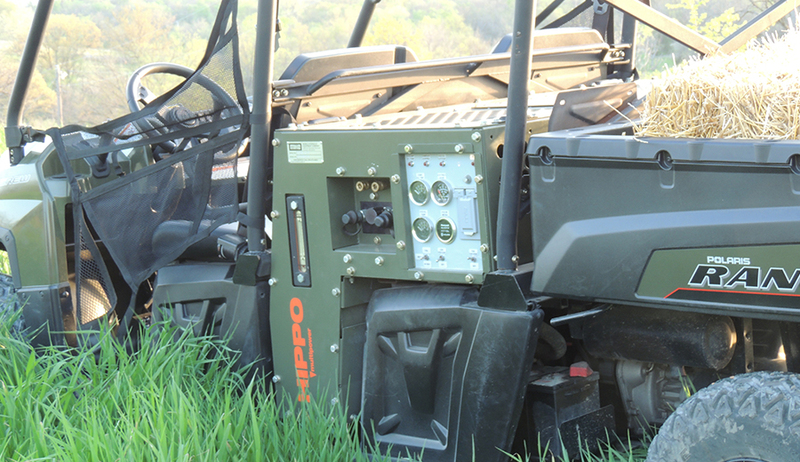 It’s a hydraulic, air, electric and welding powerhouse in a single unit, powered by the Ranger’s diesel engine. 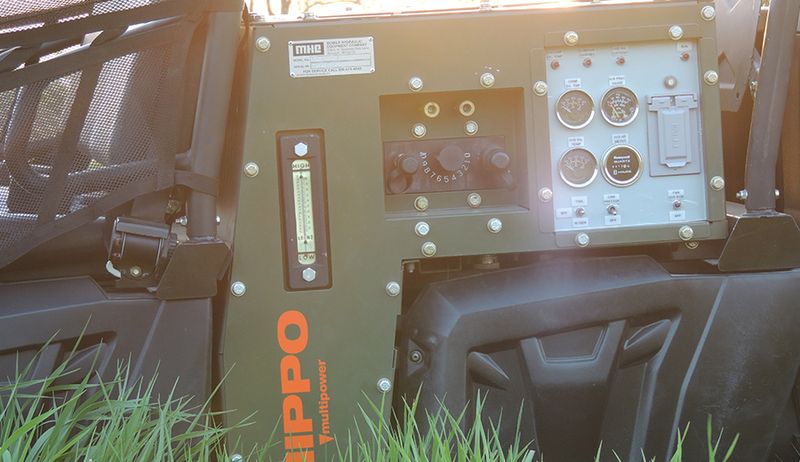 And with only a single engine to maintain, the Ranger HIPPO reduces maintenance time, thereby increasing productivity. 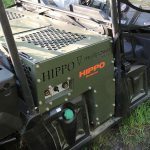 Originally developed for the Defense Department, the Ranger HIPPO is capable of transporting up to three personnel and up to 500 lbs of cargo in the box. 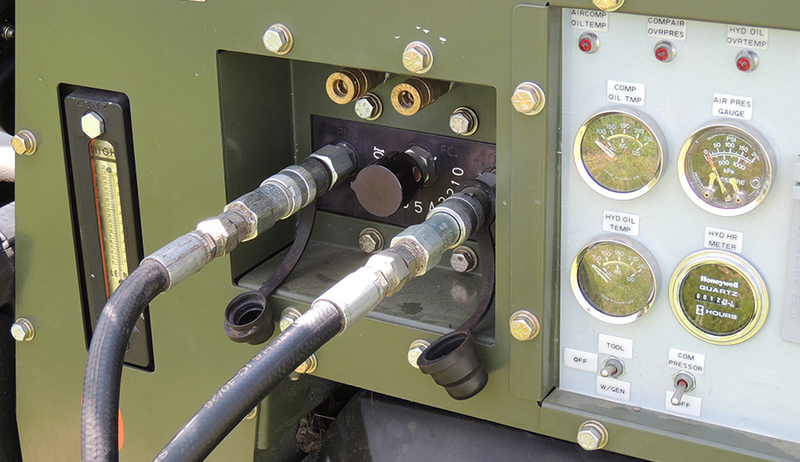 It supports most light maintenance requirements and will reach remote sites that are typically inaccessible by more traditional vehicles. 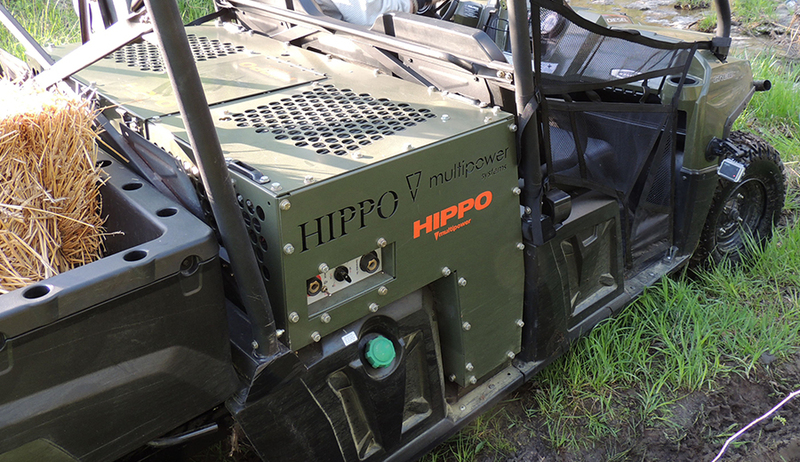 Ready to see the Ranger HIPPO in action? 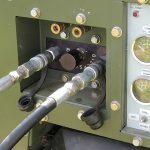 Contact us today to set up a demo.